So you’ve decided to open your own automotive brake repair shop and you think you have a pretty good handle on it? You know what you are doing, have your certification and maybe even already have a good location for your shop. Congratulations! The hard part is over, now all you need is a good set of tools, a brake lathe, a vehicle lift, some specialty brake tools and, if the car is a modern one, you are going to need a scan tool so you can scan and read the ABS codes. It seems like a long list doesn’t it? It is a long list and the equipment you need to stay competitive is going to be expensive, usually around $12-15,000. You could skimp on the equipment and not buy the things you need, but you will be working longer hours and maybe even late into the night delivering pizzas on the side. 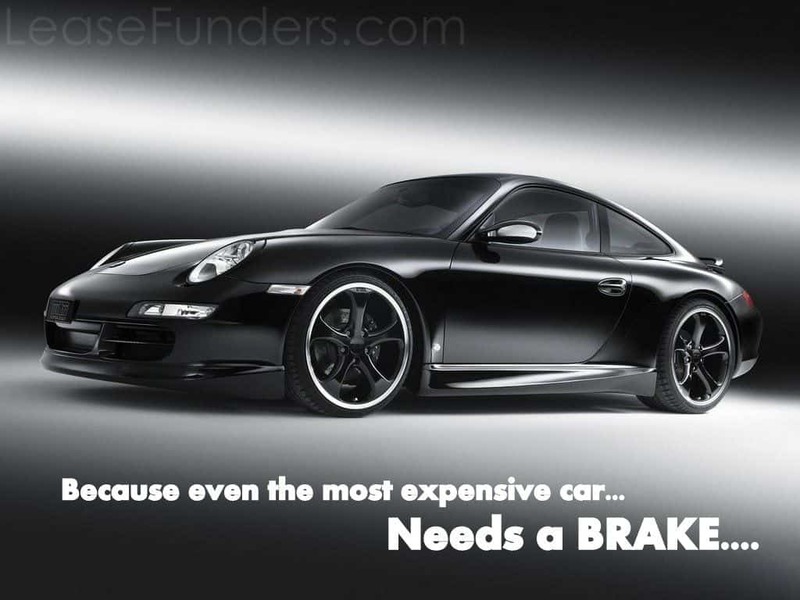 At least with all of the miles you will be racking up making deliveries, you can do your own brakes when they need it. 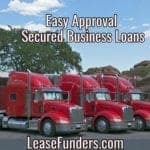 Or, you could get all of the equipment you need right away and affordably by leasing it. With an equipment lease, you will be able to open your brake shop with the confidence to take on the bigger shops and beat them at their own game. You know the only reason the big shops are so popular is because of the equipment they have which gives them the ability to do more repairs and do them more efficiently than a lesser shop could. That’s what people want, quick and cheap brake jobs. The only way you can do that is with the right equipment. Let’s take a look at some of the equipment you are going to need for your brake repair shop. First, you need basic hand tools. These wrenches, ratchets and sockets don’t come cheap if you get a set that will endure being used all day, every day. The collection you amassed from the local hardware store just isn’t going to cut it anymore. A good tool set from a reputable manufacturer will run you anywhere from $2000 to $5,000 and that may not include storage. Next, you’re going to need a brake lathe. This is the machine used to turn brake rotors and drums making them as good as new. An average brake lathe including a stand and the accessory kit will run you around $5,000 and they can go up from there depending on the machine. So, you have the tools and the brake lathe, you might even have a good back stock of brake parts in your store room. That’s a good start, but what about getting the car up in the air to work on the brake system? You can’t expect to use floor jacks forever as you eventually have to step up to a hoist. This will lift the car off the ground and to a height where you can easily perform your work. Believe me when I say that this one piece of equipment is the single-most important piece of equipment you can have. It will not only save you time, but also wear and tear on your back. A good hoist will cost you around $6,000 and that’s if you install it yourself. You don’t really want to install a hoist that is going to cradle your customers’ cars while they are in the air yourself, do you? The list can get much larger and I guess the point I am trying to make is that you need all of this equipment before you can even open your doors if you plan on becoming successful. And the best way to get this equipment is to lease it. That is what almost every shop around you does and that is what the most successful shops do to stay on top of the game. 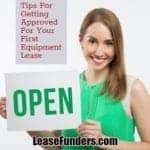 Qualifying for an equipment lease is easier than ever and even if your credit has a few smudges, you can get a lease for this much needed equipment so you are able to make both you and your business successful. Don’t just sit back and let your competitors get all of the business, get an equipment lease today and start working tomorrow. Apply online now! Click Here For Our Secured Online Equipment Lease Application! I didn’t realize there was so much to a brake shop! I can see why car repair bills are skyrocketing with many of today’s shops struggling just to buy the equipment they need to stay on top of consumer demands. Leasing does sound infinitely better than buying all of that costly equipment up front! Yes, repairing brakes on cars can be complicated too. But car repair shops now utilize modern and highly innovative equipment to keep up with the fast paced world. 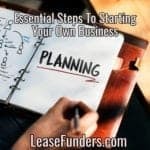 Owners take advantage of leasing companies to get the tools they need while preserving their work capital, to be used when the business had expanded!